Jaipur- the pink city is a city of forts, literature and peoples. A new culture is gaining popularity in Jaipur i.e. Cafe Culture. You must have seen numbers of cafes in a small area near you. Just imagine if there are 2-3 cafes in a colony what will be the number of cafes in whole Jaipur. You search cafe near me on Google and get hundreds of cafes and get confused. The size of the Cafe for events and birthdays. The taste and variety of the food available in that. It should be budget friendly. There should be enough crowd. The top Cafe of this list is Nibs Cafe. This place will definitely satisfy your cravings not only with their elaborate menu but also with their interior. 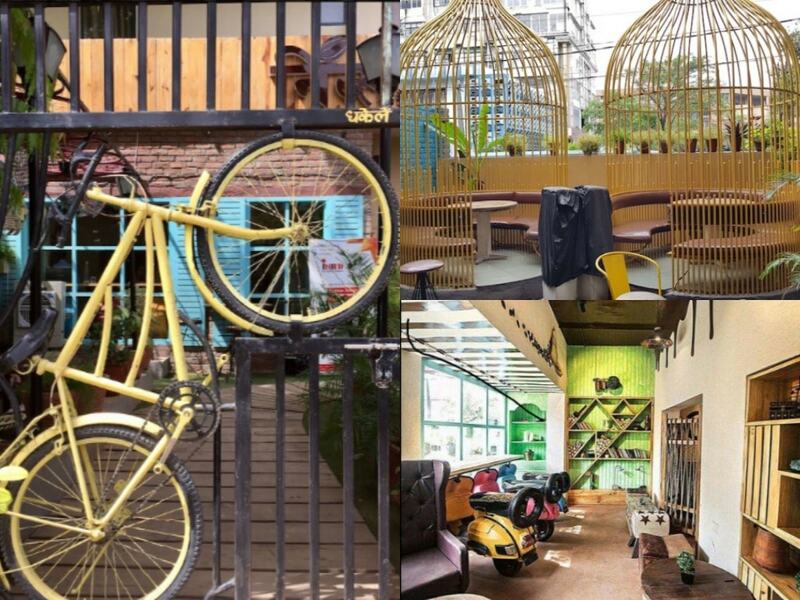 The whole Cafe is surrounded with its quirky scooter seats and bird cages seat which makes it first in our list. 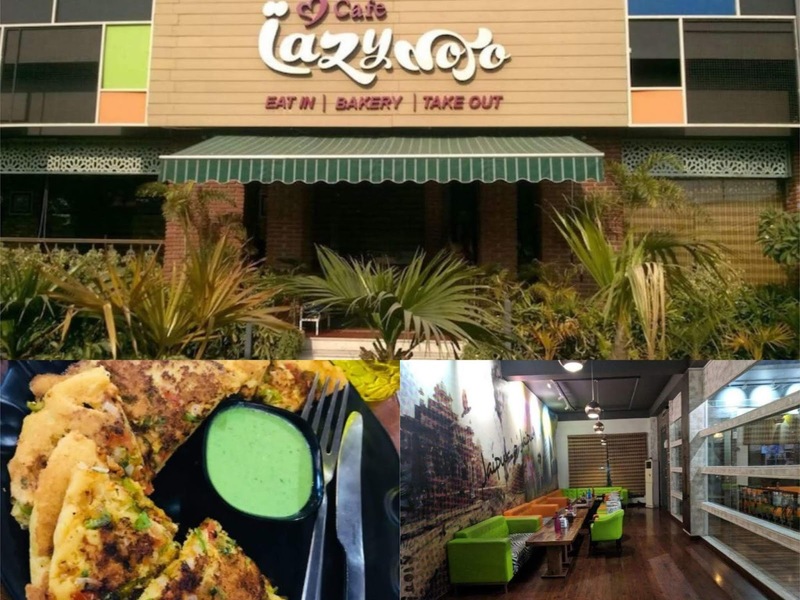 The confusing menu of this Cafe has the potential to satisfy any hunger cramp with a variety of offerings right from thin crust pizza to garlic bread, pastas to sandwiches and one of the best line of desserts along with cakes. One can find great ambiance, in addition to the food here. The interior of whole Cafe can be related to the old homes of Stone Age with the stone like structures on wall or can be related to forts. As the meaning of word ‘Sultanat’ is ‘place governed by a sultan’. The place is simply unforgettable with its interior and the yummy food delivered here. As a result, it is a one stop destination for photo lovers as well as food lovers too. This hangout location is a quant tea shop in Jaipur. The food at Tapri is best known to linger on your taste buds and will also remain in your imagination for substantially longer. The interiors which is dominated by warm wooden hues and a pop of green, will make you wish it could be your local cafe too! Things you must try: Cutting Chai, Namkeen Shots, Tadka Maggie, Cheese Vada Pav. Cost for two: ₹750 (approx.). Location: B4 E, 3rd Floor, Surana Jewellers, Opposite Central Park, C Scheme, Jaipur. As the name suggests, you must step out your house and have a visit at this place. This place will give you a surprise with its interior designs and surroundings. 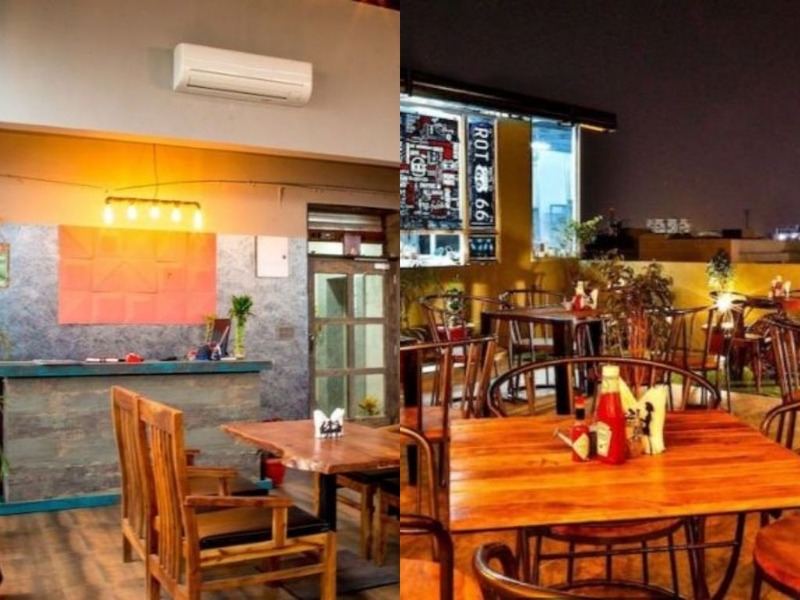 This cafe will also satisfy your taste buds and foodie inside you with their delicious foods and drinks. Above all, best part of this Cafe is that there is a reading room also available in it. This room is quite & cozy so that one can read and sip some coffee there. 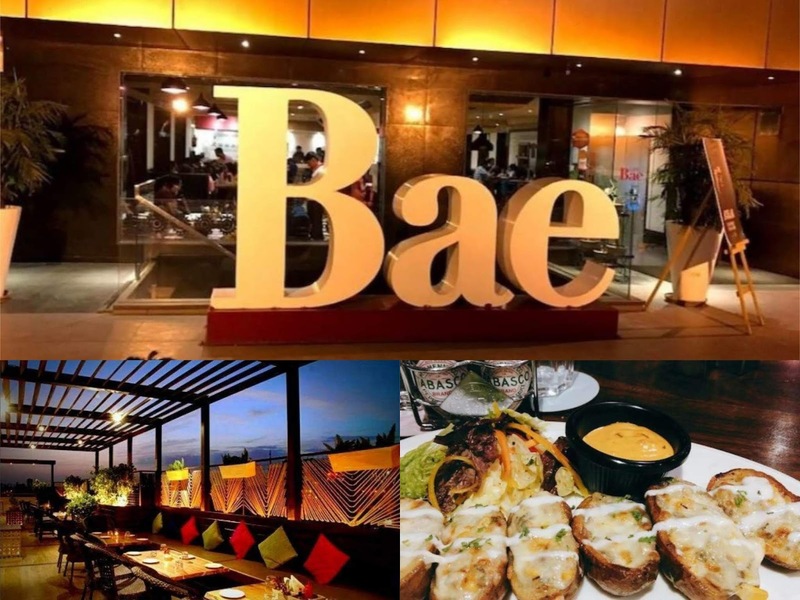 Cafe Bae is the in-house Cafe for Hotel Las Vegas which is open to all. This popular hangout place serves both alcoholic and non-alcoholic beverages with a wide range of Cafe cuisine. The food of this Cafe is too yummy with vibrant interior and decoration. The free WiFi and valet parking is also available here which can be a bonus for you. In simple words, this place is a box full of extreme ambiance, beautiful interior and delicious food. Things you must try: Garlic Bread, Cappuccino, Pancakes, Coffee, Pasta, Chicken Steak, Brownie Frappe. “Kaleidoscope” as the name suggests is designed with a lot of colorful and decent interior. 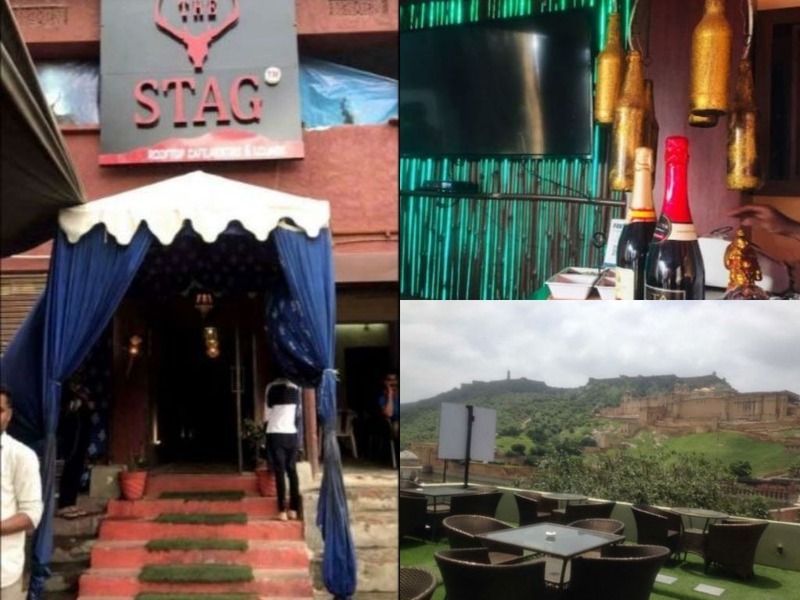 This place has perfect ambiance not only for teenagers but also for family gatherings as well as for ladies kitty parties. Kaleidoscope ambiance is basically divided into two parts i.e. (outdoor and indoor). The outdoor area is well maintained with grasses and colorful lights. 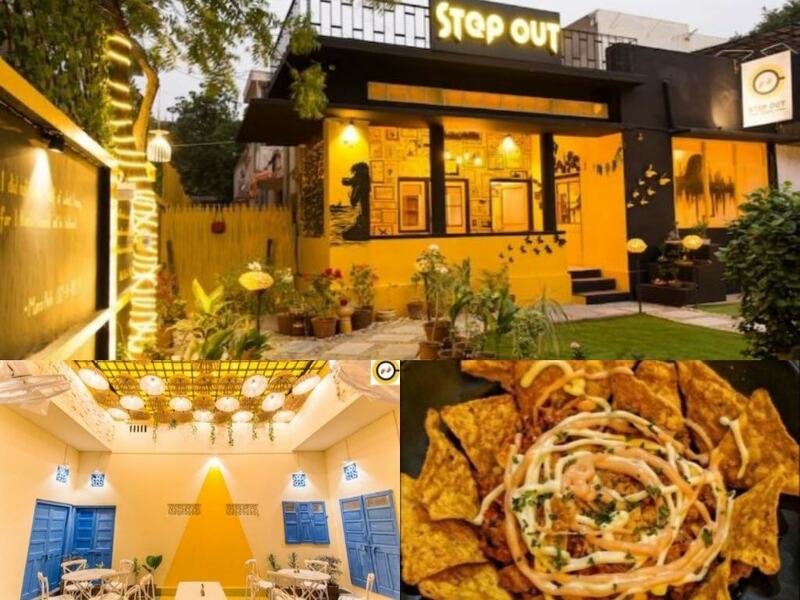 The taste of the food served by this Cafe will make your mouth shout the word ‘WOW’. The service is also admirable and friendly with their courteous staff. If you want to choose a Cafe for evening outing with family and kitty parties as well as birthday parties, I will suggest you this place. This Cafe is also known as ‘A fashion Cafe’. It should be on your wish list, if you are a fashionista. 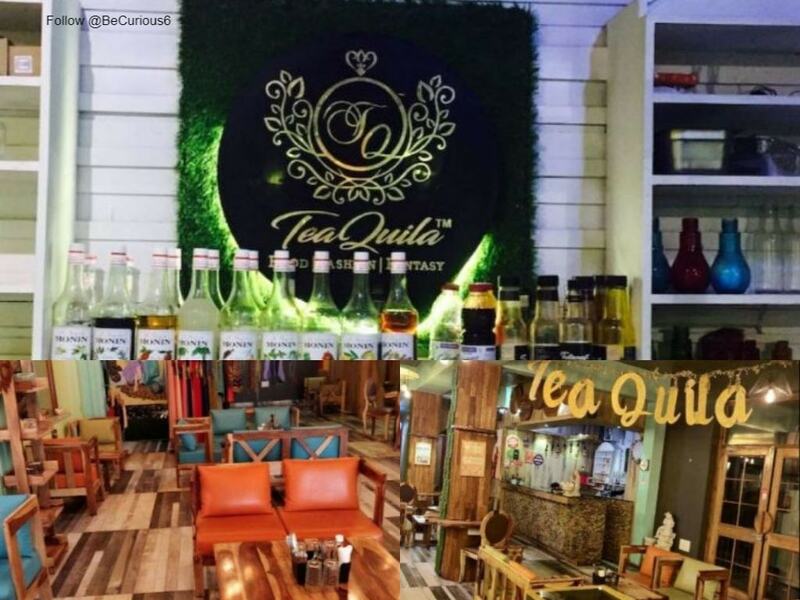 TeaQuila also provides games, shopping experience and a great ambiance along with food which makes it to stand out from the other restaurants nearby. Above all, the place has a swing too where you can dip your feet in water. Not only the food is of great taste, the interior will also please you to wait longer if your food is delayed in preparing. Things you must try: Pizza, Nutella Shake, Tea, Pasta, Mushroom Lasagne, Noodles, Vada Pav. If you are looking for a glass house with French designed walls and no concrete walls for chilling and enjoying. Here is a place ’FlapJack’ for you. This Cafe is split into three different sections and levels, each one having its own unique characteristics which will definitely flatter you. If you’re planned to visit FlapJack, I recommend you to reserve a seat on the vibrant rooftop with a relaxed seating. The service of this cafe will make you feel special in addition to the tasty food. This restaurant is right opposite to the historic monument, the Amer fort. One can have a spectacular view of this famous monument and click some great photographs to post them on social media. The fort view from this Cafe makes it a picture perfect location. 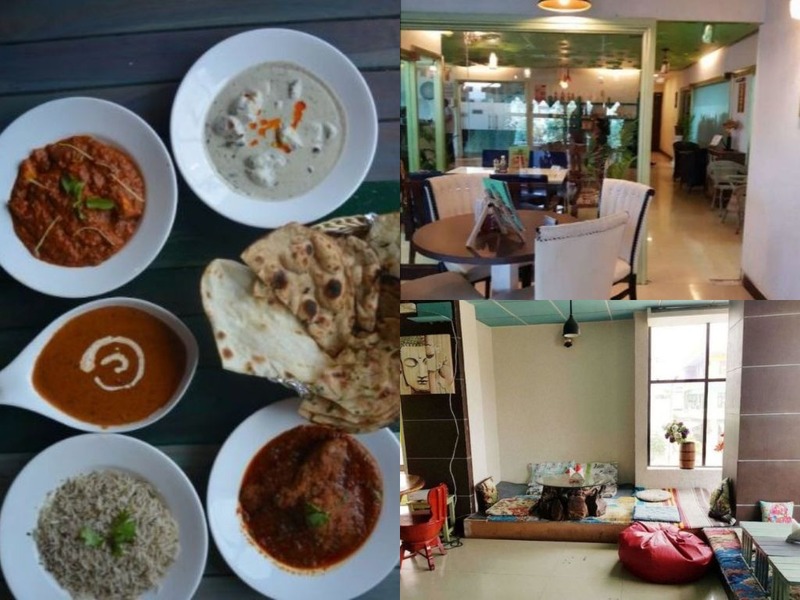 In-spite of having a mesmerising view from this rooftop resto and Cafe, you can enjoy yummy food of this Cafe. This place has made its place among our top 15 list by its excellent service and the quality of the food served here. Poppins cafe is the perfect destination to pop out your cravings from various cuisines or if you want to try something out of the blue. The place is well set up with a very cozy & comfortable ambiance. It’s the best place to hang out with friends, family or work out your business deals out of the office (as this place has a meeting room too). Things you must try: Spinach & mushroom pasta, Veg biryani, Cottage cheese grilled steak, Forever Young smoothie, Mint ice tea. At Taruveda, you can experience a distinct fusion of diverse cuisines from across the globe. From the delectable sweet and savory Crepes of France, to the famous American “whooper” sized BBQ chicken burgers, Taruveda Bistro guarantees unique and delicious food. They are also one of the first few in Jaipur, to serve authentic Japanese Sushi. The Zen-like quality of this Cafe makes it special. Things you must try: Classic Ceaser Salad, Beetroot Falafal, Lava Brownie. Location: 1st Floor, Sunraj Villa, 2 Mysore House, Jacob Road, Civil Lines, Jaipur. After visiting this Cafe for the first time, you will have your mood to visit here again and again. If you’re a fan of peppy music and al fresco dining, then you’ll love this cafe. The elaborate menu, quirky interiors and fun vibe of this place will definitely help you in getting your mojo back! The Cafe is best known for its exotic food rather than its spacious environment and courteous staff. Things you must try: Nutella Milkshake, Garlic Bread with Cheese and Toppings, Baked Vegetables, Pizza, Masala Lemonade, Nachos. Cost for two: ₹800 (approx.). Location: H 1, Lal Bahadur Nagar, S.L Marg, Malviya Nagar, Jaipur. 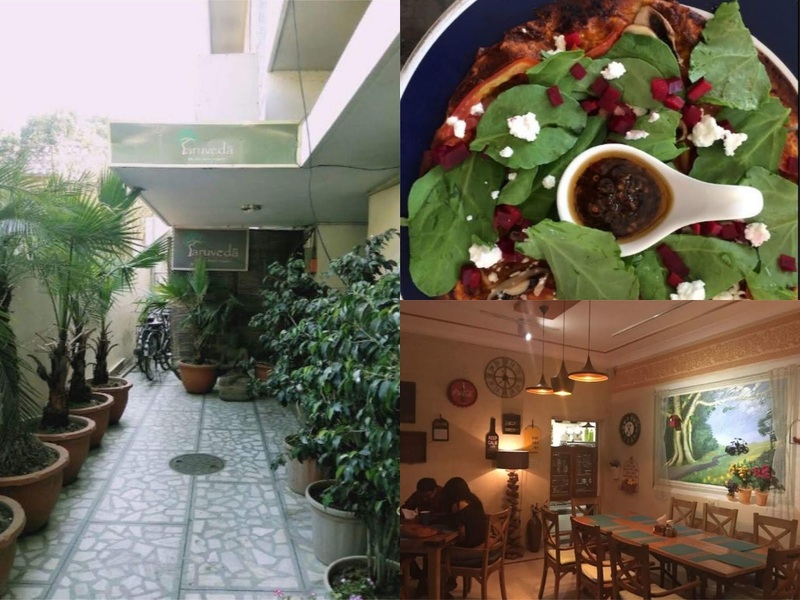 If you’re all about eating organic food, such as a crunchy, well-dressed salad, a quiche or a thickly filled sandwich, then Anokhi Cafe should be your new weekend go to. Organic farmers (the guys behind Anokhi) are here to prove anyone wrong who thinks organic food is boring. 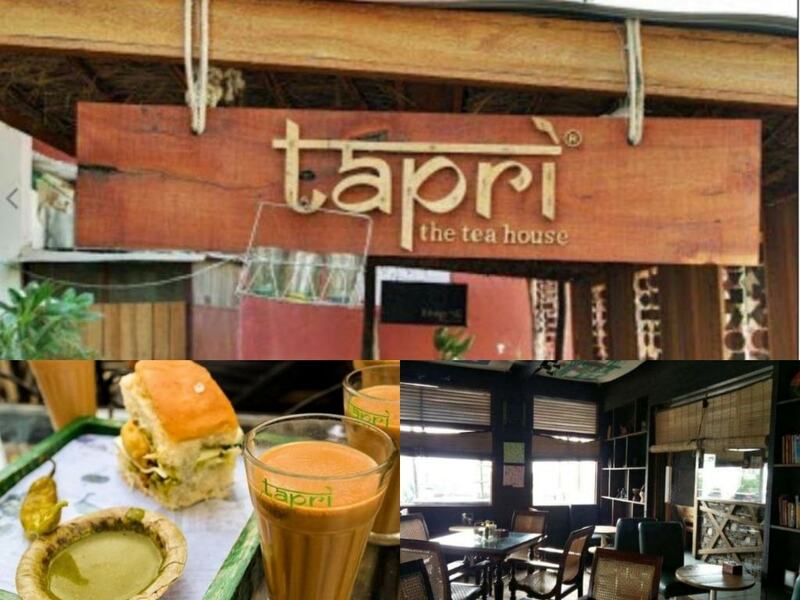 Do you want a place away from the hustle bustle, sitting in a cozy cafe and enjoy a cup of coffee in Jaipur? 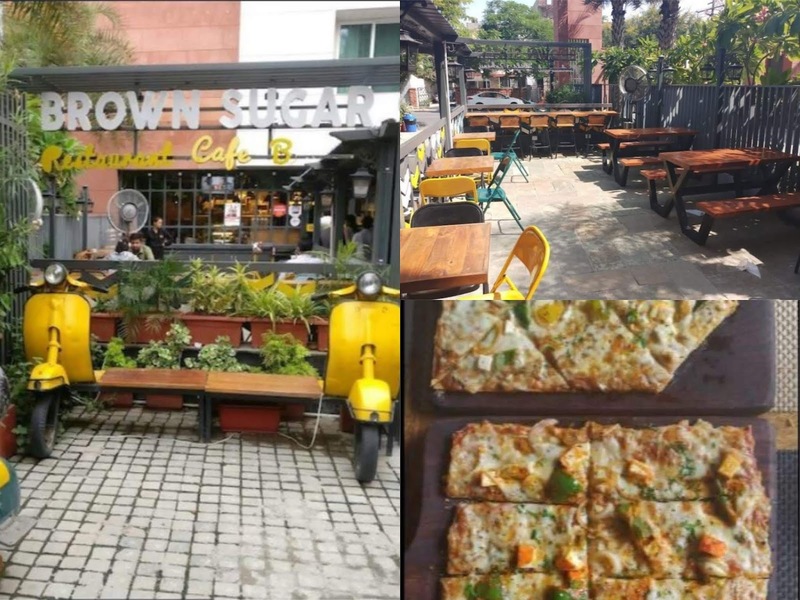 The Brown Sugar Cafe and Lounge welcomes you with that same soothing embrace, which you were looking in the Pink city along with their variants in Italian cuisine and baked delights. 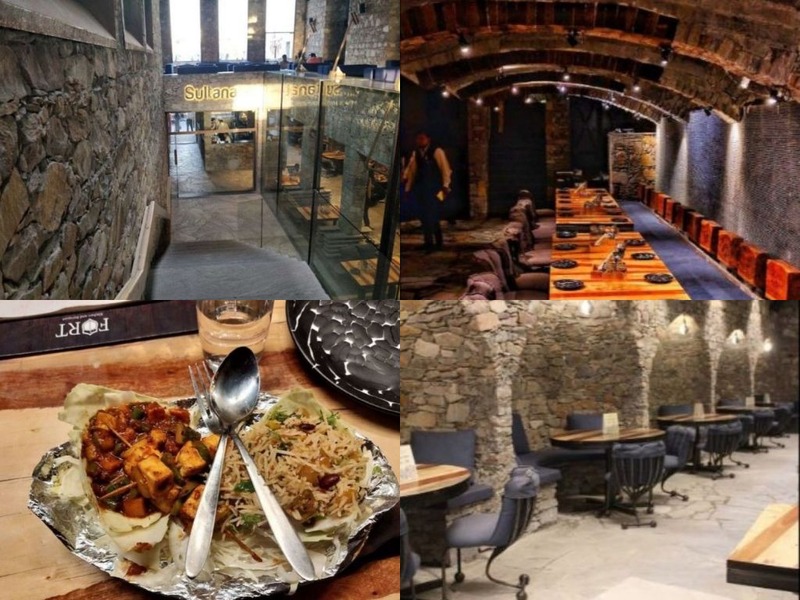 It is one of the best cafes in Jaipur which serves delightful variety of baked eateries, so if you’re in the city then you can’t miss this place. Things you must try: Pasta, Virgin Mojito, Pizza, Sandwiches, Kitkat Shake. Cost For Two: ₹600 approx. 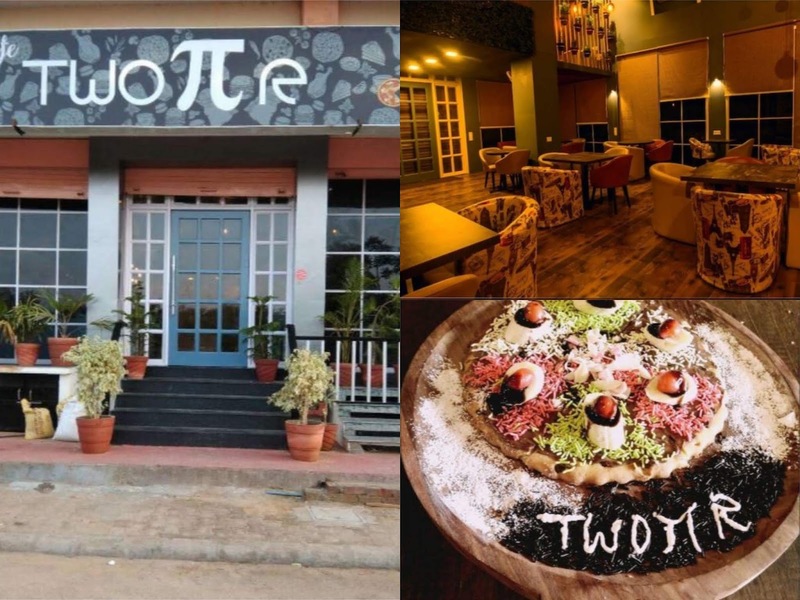 Cafe Two Pi R is a savior for the young crowds who want to hangout nearby. It has a very good ambiance with beautiful decorations and yummy food. Quirky arts is present on the walls of this Cafe which makes it an admirable place to have fun while eating food. One can also enjoy in shooting photos with the delicious food. The staff are friendly and courteous as well. Things you must try: Noodles, Pad Thai Noodle, Tiramisu, Pizza, Pasta Alfredo, Sandwich, and Garlic Bread. 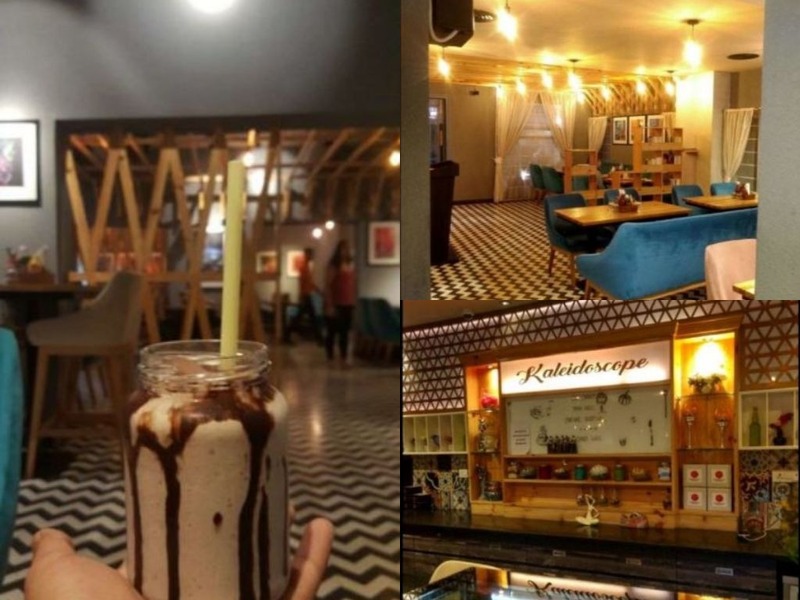 There are various cafe in Jaipur, But in this post, we have discussed about best and top 15 cafes near you in Jaipur according to the peoples reviews and rating. Hope you got the answer of ‘cafes near me’. If you liked our list, then share it or have any other suggestion do not hesitate to drop a comment.